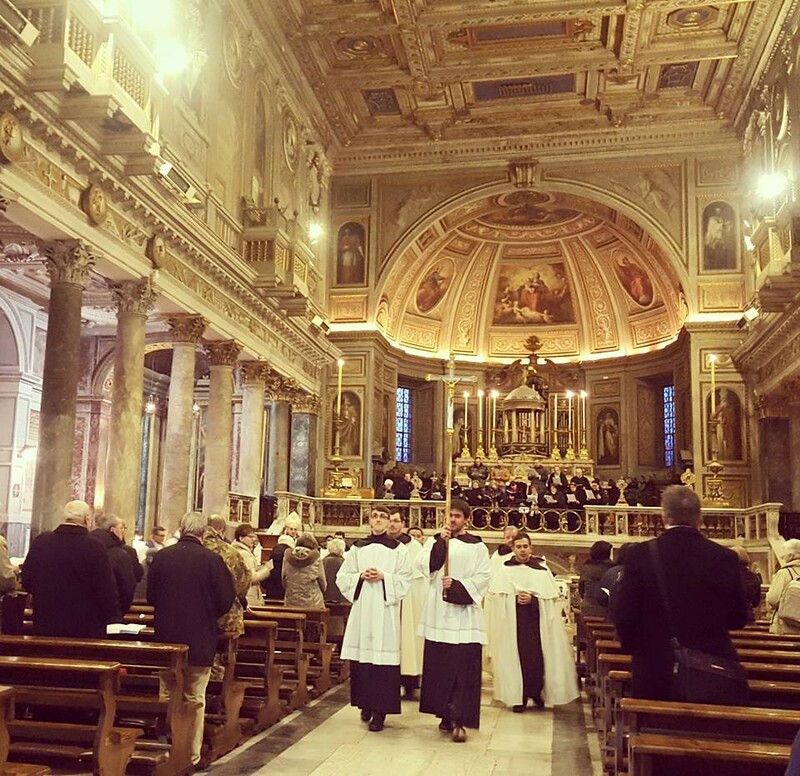 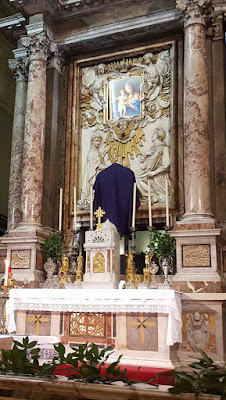 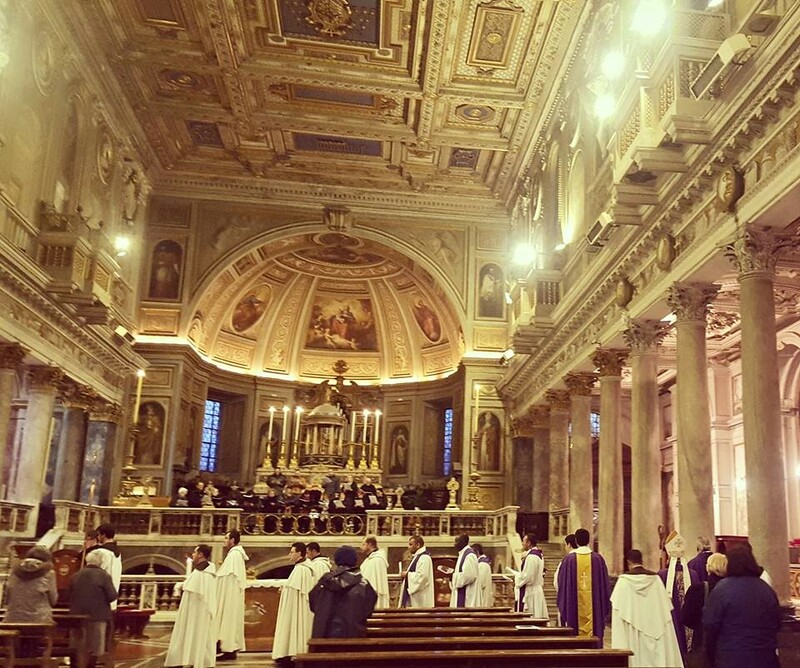 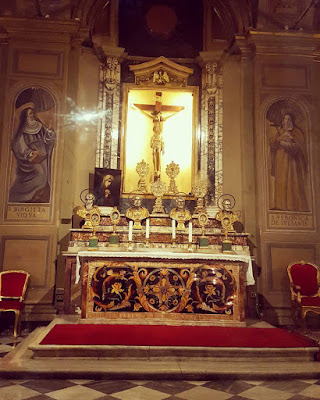 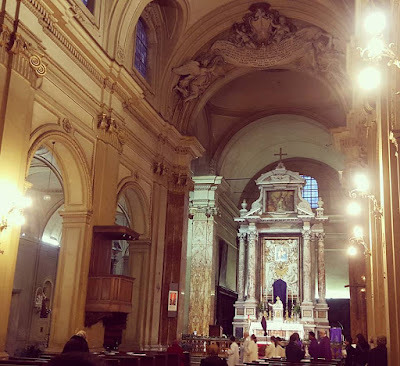 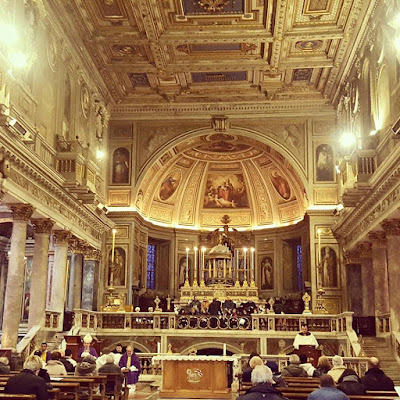 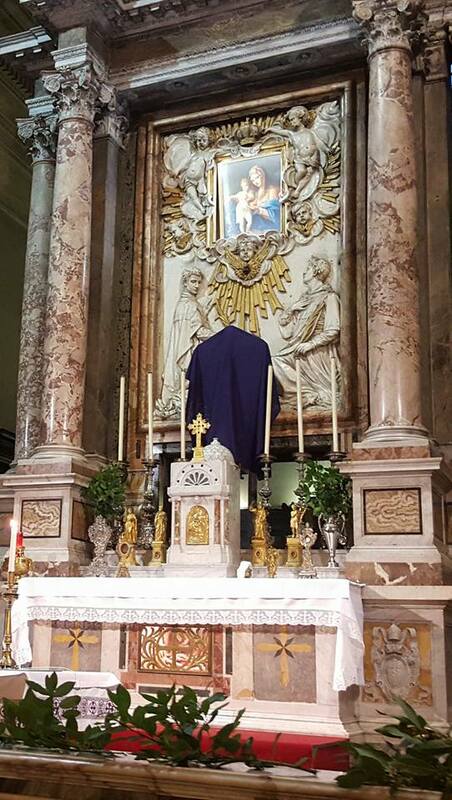 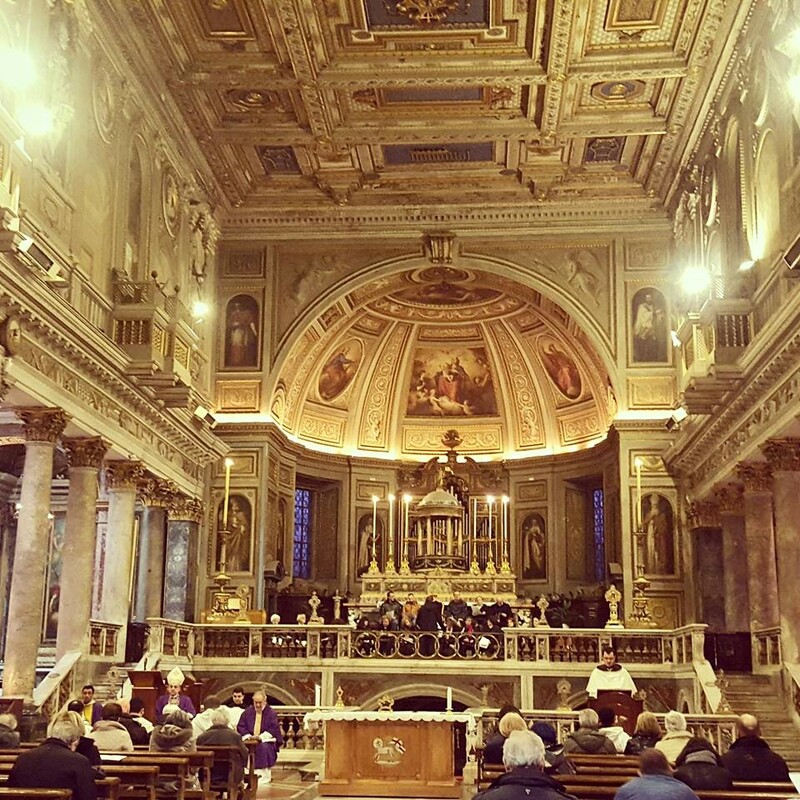 Once again, our thanks to Agnese for sharing her pictures of the Roman station Masses with our readers. A particularly nice display of relics. 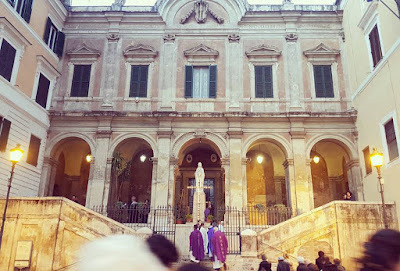 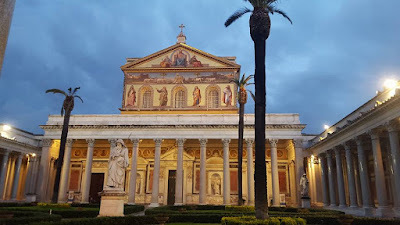 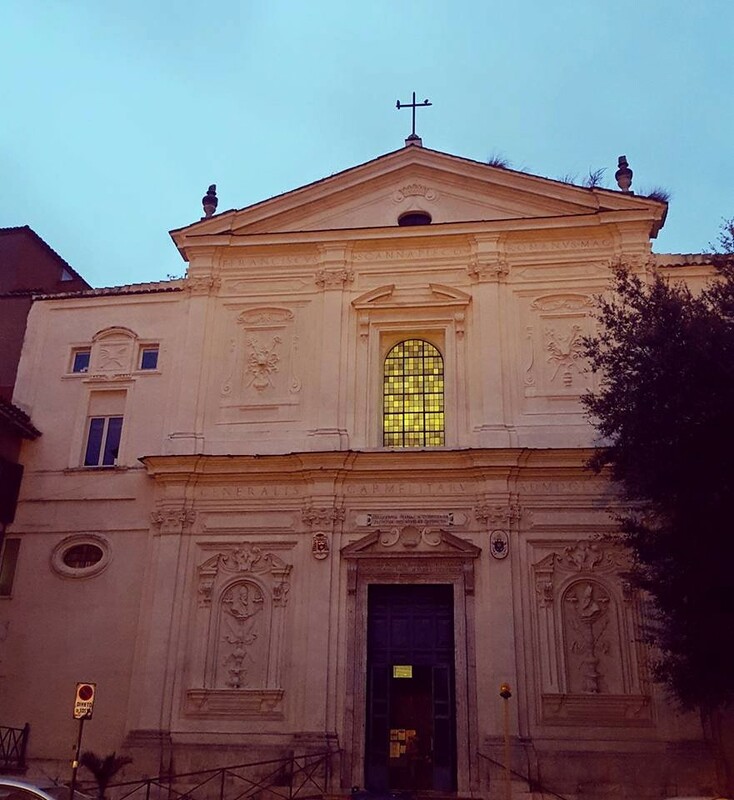 This station, at the Basilica which houses the tomb of the Apostle of the Gentiles, was traditionally the day of one of the most important scrutinies, the rituals by which the Church prepared the catechumens for baptism on Easter night. 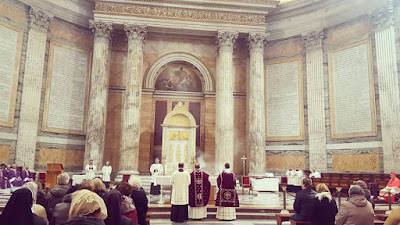 The Gospel is historically that of the Man Born Blind, John 9, 1-38, whose anointing, according to the Fathers, represents the anointing of the catechumens. 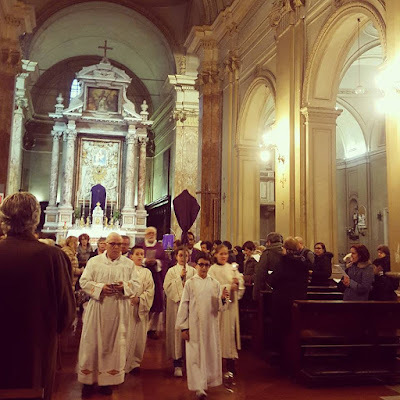 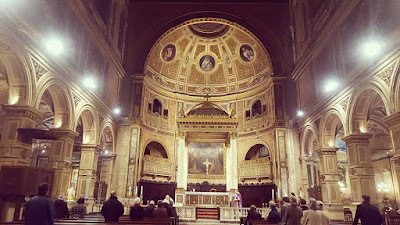 Since the 16th century, this church has been the generalate of the Carmelites of the Old Observance, some of are seen below participating in the procession before Mass.